Over 600 hospitals were evaluated in the Cardiology & Heart Surgery category. All treat significant numbers of difficult patients - a hospital is listed only if it treated at least 1,200 such inpatients in 2015, 2016 and 2017. 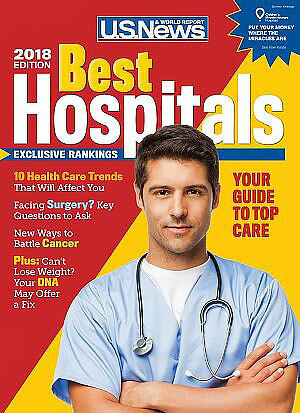 The top 50 hospitals are ranked by score.